Though people typically think of ghost towns as belonging to the Old West, New England actually has plenty. Villages that once supported schools and post offices disappeared, leaving only cellar holes and maybe an abandoned building or two. The Great 1938 Hurricane created several ghost towns along the coast. War, recession and lousy farmland created other ghost towns. A highway and a reservoir produced more. Below, we describe six of the most interesting New England ghost towns to explore. In 2017, we added a list of several others in each state. If you know of other ghost towns, please mention them in the comment section. Split rock formation in Gay City State Park. Gay City in Hebron, Conn., was anything but. The village survived for 80 years until drunkenness, feuds, business failures and murder turned it into a ghost town. Elijah Andrus founded Gay City as a community of Hartford religious zealots in 1796 . It attracted about 25 families, most of them members of the Gay family. Religious leaders served rum to all male members of the community during religious services, either to lure worshippers or as part of the sect's religious practice. The result: drunken brawls during services. A group of the settlement's first families packed up and left. 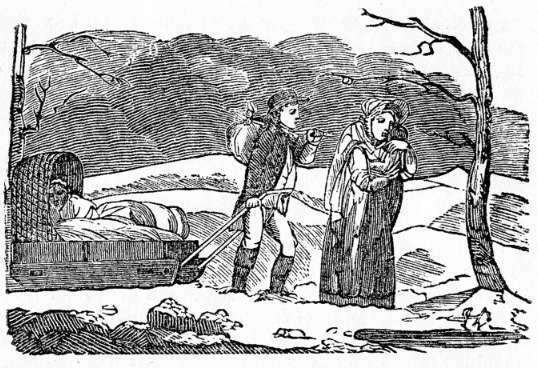 Andrus abandoned his followers in 1800. 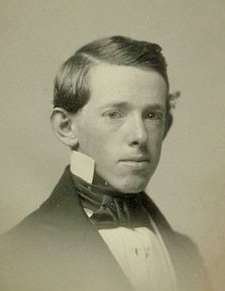 John Gay became president of the community. In 1804 the settlement earned the name Factory Hollow when it built a woolen mill along the Blackledge River. The mill burned down in 1830, triggering another exodus. A paper mill briefly revitalized the town. Over the years people found buttons at the mill site. They came from the clothing rags used in paper making. Many of Gay City’s remaining young men died in the Civil War. Then the paper mill burned, and the town pretty much disappeared. But not before lurid tales of murder circulated. Just before the Civil War, a popular old jewelry peddler disappeared, perhaps murdered by a village charcoal burner. A human skeleton, believed to be the peddler’s remains, were found in a charcoal pit. When a teenage boy was late for work at a blacksmith forge one day, his boss made sure he would never be late again. He murdered the boy with a butcher knife. No one was ever convicted of either murder. Gay City’s former existence is suggested by stone foundations, several grass-filled cellar holes and a few tombstones. Since 1944 it’s been a state park, Gay City State Park, with 10 miles of walking trails through forest and swamp, a small beach and swimming area. Johnsonville Village started out as a thriving mill town and became a tourist attraction after the mill shut down and its inhabitants left. In 2017, the Philippine church Iglesia ni Cristo bought Johnsonville Village. The 1938 hurricane wiped out Little Danbury, a collection of rustic beach cottages on Long Island Sound in southeast Fairfield. Rumors of ghost activity plague Dudleytown, an 18th-century village in Cornwall abandoned in the 19th century. 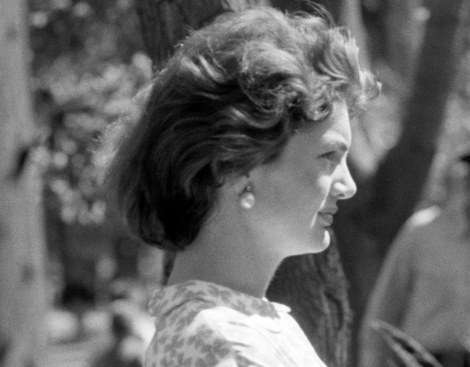 Philanthropists maintain the land as a private land trust. People call Bara-Hack 'the Village of Voices,' because they hear voices in the place where the Pomfret village was abandoned in the 1890s. 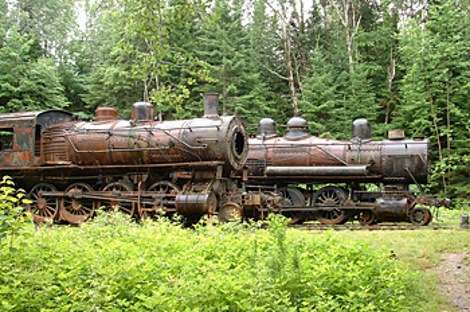 Perkins, Maine, abandoned in the 1940s, lies between Richmond and Dresden. It includes Swan Island, Little Swan Island and some tidal flats within the Kennebec River. Perkins once had nearly 100 residents. They built ships, farmed and harvested ice. Wealthy summer people discovered the island and built summer homes there. Thomas Handasyd Perkins, the China trader, was its most famous resident. He paid to have the town incorporated, and so the town took its name from him. By 1918 the population dwindled to 61, and the town was disincorporated. The Great Depression and pollution in the Kennebec River delivered the final blows. No one lived there by 2000. Preservationists are trying to preserve 13 the buildings in Perkins, some of which date to the 1750s. The town is listed on the National Register of Historic Places in 1995 and protected as the Steve Powell Wildlife Management Area. Flagstaff got its name from the flagstaff Benedict Arnold planted on the Arnold Expedition to Quebec. A dam on the Dead River submerged the town in 1950. Riceville in East Hancock grew up around a tannery, then died after the tannery burned. Ligonia Village was once a neighborhood in South Portland. Today it's a ghost neighborhood comprised of oil tanks and a cemetery on the spur from Main Street to Route 295 or Veteran’s Bridge. A Cape Cod ghost town disappeared for the usual reason coastal villages disappear: A hurricane blew it away. Whitewash Village on Monomoy Island off Chatham was established in 1710 with a tavern for sailors. The town took its name from whitewashed rocks, traces of which people could still see in 1864. The town grew to about 200 people, who fished in the deep natural harbor. They packed and dried cod and mackerel for markets in Boston and New York, and they sold lobster to mainlanders. 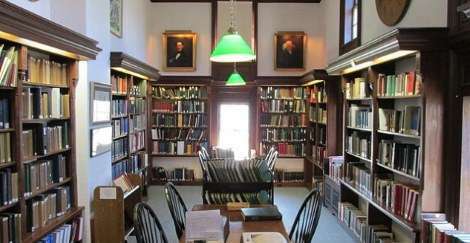 The town at its height had a school, for 16 students, cottages, storage sheds perfumed with fish oil and the Monomoy House, a lodging house and hotel. Harper’s New Monthly Magazine described Whitewash Village in 1864. "Around the light-house are two or three cottages, and still a mile beyond stands "Whitewash Village," composed of the Monomoy House (a weather-beaten, barracky, amphibious structure, fishermen and coasters' fitting-store on the first floor, lodging-house and excursionists' inn on the second." Harpers called the Monomoy House 'amphibious' because the sea came part way up the front stairs during certain winter tides. "The inmates go a visiting in boats," reported the magazine. Sometimes the boys had to wade to school, carrying the girls. "In fact, the little territory dotted by Monomoy village is a battle-ground between sand on the one side, and wind and water on the other," wrote Harper's. 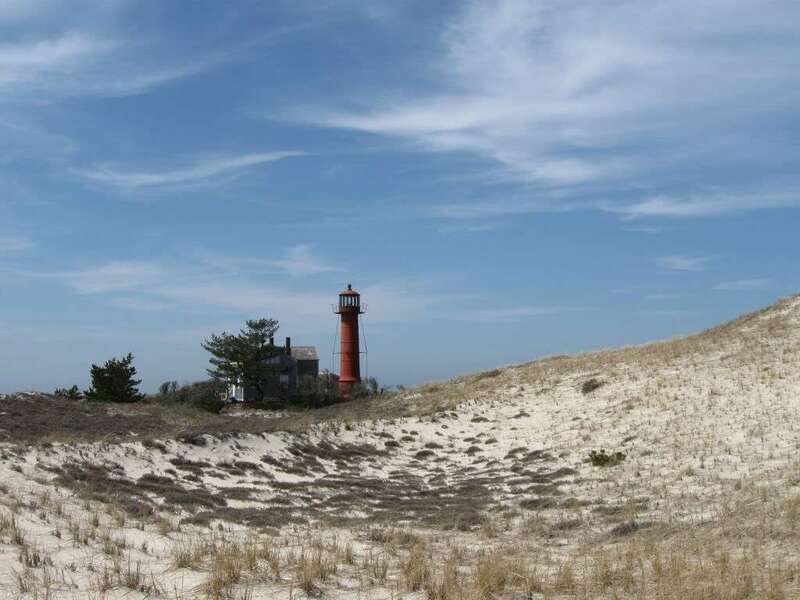 Sometime in the 19th century, Monomoy Village lost the battle to the wind and water.The only evidence of it that remains is Monomoy Lighthouse. The War of 1812 created Dogtown, located between Rockport and Gloucester on Cape Ann. People moved inland to avoid attack and then moved back to the coast, leaving Dogtown a 'wilderness of pirates and witches.' A millionaire named Roger Babson hired unemployed stonecutters to carve inspirational sayings into Dogtown's boulders. Catamount in Colrain once had a schoolhouse said to be the first to fly the American Flag. Catamount is now a state forest. 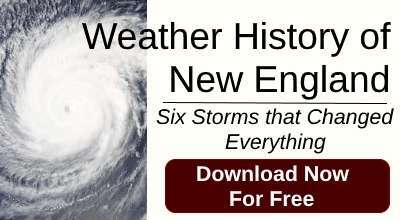 You need diving gear to find four ghost towns in Worcester County: the Quabbin Reservoir submerged Dana, Enfield, Greenwich and Prescott starting in 1938. Once overgrown logging camps, inhabitants left the White Mountain ghost towns after they stripped the mountains bare of trees. 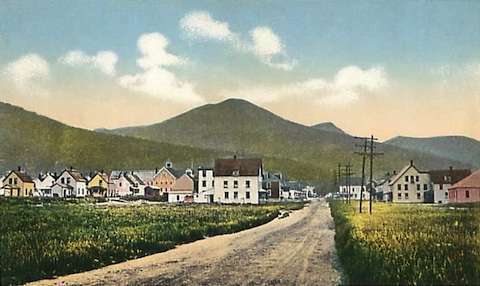 But follow Route 302 through Crawford Notch, you’ll come upon what used to be the village of Zealand. From 1875 to 1885, Zealand had a post office, a school and 80 to 250 men who lived there to cut trees for timber baron J.E. Henry of Lincoln. His men worked 11-hour days regulated by 47 posted rules, 28 of which concerned the proper care of horses. Mr. Henry paid each of his men in person while carrying a gun on his hip, and he brooked no arguments. Henry wanted to leave Zealand, sell the mountain it sat on and move to nearby Lincoln. A hotel company planned to build the Mount Washington Hotel facing Henry's mountain. Henry offered to sell the mountain for a price too high for the hotel company. Henry threatened to put up charcoal kilns and burn every tree in sight. He sent in a crew of men to start cutting trees and hauling bricks. The hotel company, fearing a burned-over mountain would spoil their venture, paid the timber baron his price. From 1886-1903 fires destroyed the town and the valley. Very little evidence of the village remains among the trails and campgrounds, which include Sugarloaf. Johnson grew up around a sawmill and Little Canada around a mill and a kiln in Lincoln, another town that grew up from J.E. Henry's logging operations. 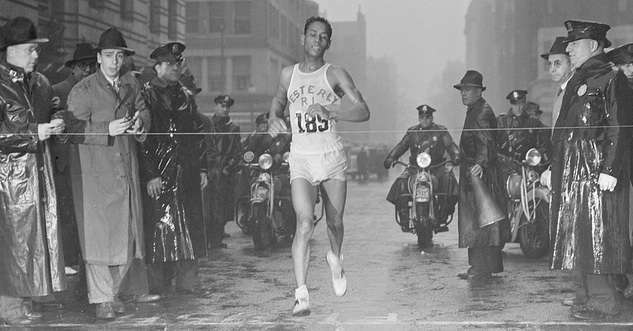 Residents abandoned Johnson and Little Canada, but Lincoln survives. Another logging ghost town, Livermore, lies about 16 miles west of North Conway off U.S. Route 302. 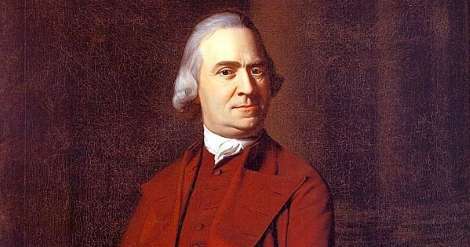 Jonathan Warner and some others founded the town of Kilkenny in 1774 in northenmost Coos County. Named after Kilkenny, Ireland, no one lived there as of the 2010 census. 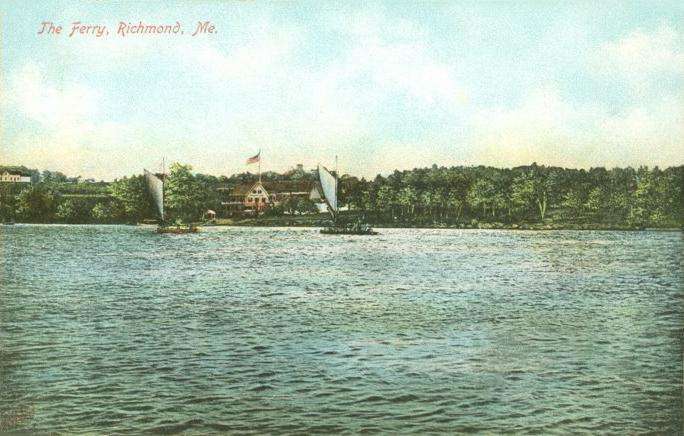 Hanton City along Route 116 in Smithfield, R.I., started as a colonial settlement also known as the Lost City. Its overgrown remains consist of several stone foundations, a defunct dam, scattered stone walls and a burial site with three readable names: Alfred, Eliza and Emor Smith. There’s little else to show a town once existed there, save for Hanton City Trail in Smithfield and Hanton Road in North Smithfield. Some say a small band of runaways from slavery built Hanton City after choosing to live in the wilds of Smithfield. Others say the town quarantined people with a communicable disease. 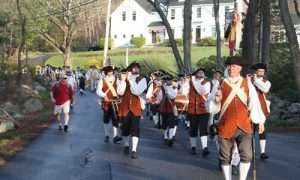 Still others believe Loyalists founded Hanton City during the American Revolution. The patriots exiled several Tories to Smithfield and Glocester in 1776; perhaps they went to Hanton City. Or perhaps a group of Loyalists decided to form an enclave of like-minded people. Whatever the reason, the land is now owned by the Dow Chemical Company. The Hurricane of 1938 turned the beach community of Napatree Point into a wildlife preserve. 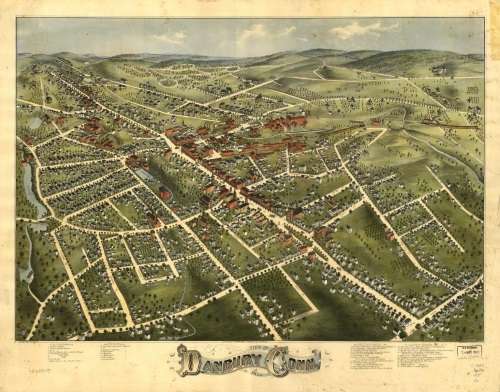 Lewiston was a thriving village in Norwich, Vt., with mills and a railroad station across from Hanover, N.H.
For many years coal was shipped to Dartmouth along the railroad, until the college switched to heating oil in the 1920s. By 1930, Lewiston’s mills had all closed and commercial activity moved to Whitewater Junction. 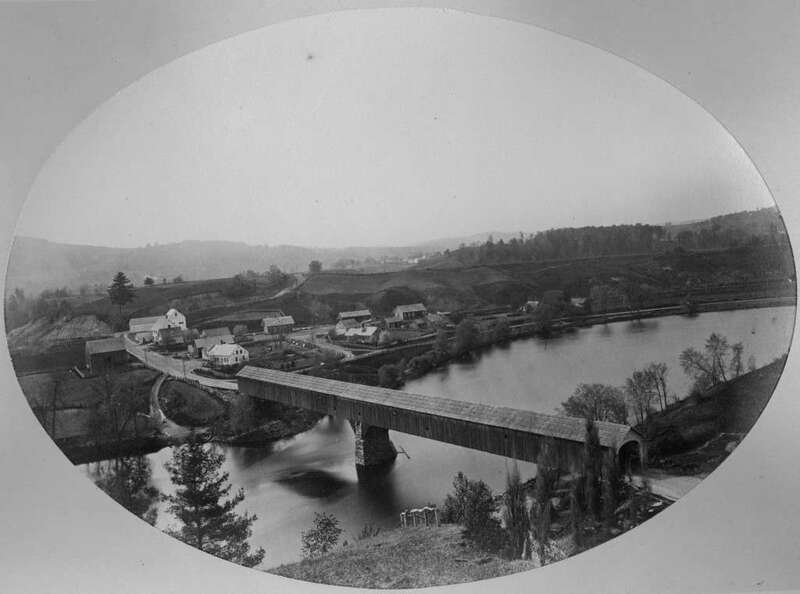 Settlers came to Lewiston in 1765 and named it after Dr. Joseph Lewis, who arrived two years later. In 1950, construction of the Wilder Dam flooded the village’s low-lying farms. 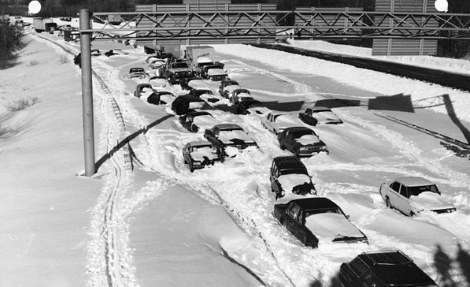 In 1967, bulldozers turned Lewiston into a ghost town when they leveled it to make way for a feeder road to Interstate 91. The railroad and the station survive, unused. 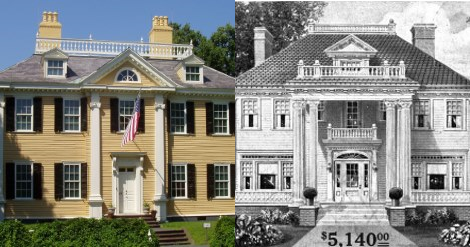 Dr. Joseph Lewis’s house is now a pottery studio owned by Dartmouth College. A small road off McKenna Road, Lewiston Hill Road, comprises what was once the village center. Bigfoot supposedly roams Glastonbery Mountain, once home to the logging town of Glastonbery. People mysteriously disappeared on the mountain and Glastonbery turned into a ghost town. 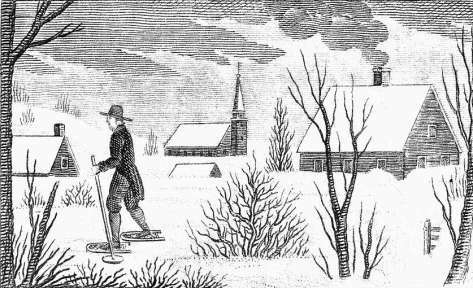 Joseph Ricker founded the farming community of Ricker Basin between Bolton and Waterbury in the 18th century. The steep, rocky soil made farming difficult, and farmers eventually abandoned Ricker Basin. Photos: Monomoy Lighthouse By Zachary Cava, U. S. Fish and Wildlife Service, Northeast Region via Wikipedia; Hanton City by ShareAlike via Wikipedia; Lewiston, Vt., courtesy the Rauner Special Collections Library. 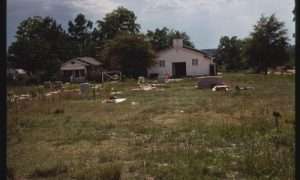 This story about ghost towns was updated in 2017. 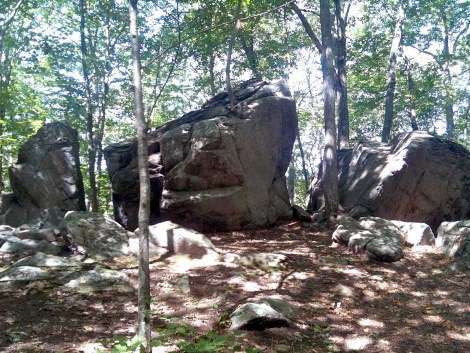 Also Massachusetts Dog Town, Gloucester and Haywoodville, Middlesex Fells , Stoneham. Whitewater Junction? Could they have meant White River Junction? 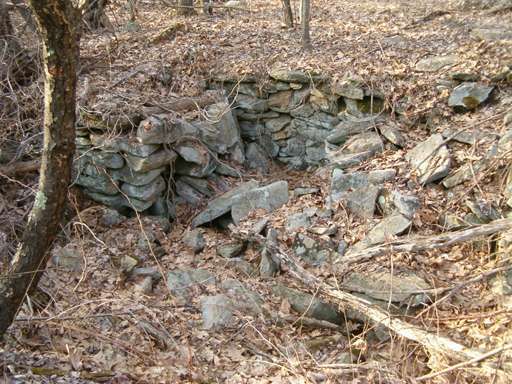 Years ago, I came across old cellar holes and remains of small buildings. It was on th White Ledge Trail along the old ( now unused) part that led out to Route 16, North of the White Ledge Campground. The local residents had no knowledge of who had built there. Very erie ! How about the former settlements on Smuttynose Island and the other Isles of Shoals?